50 Designers, 50 Costumes: Concept to Character. Beverly Hills, CA: Academy of Motion Picture Arts and Sciences, 2004. 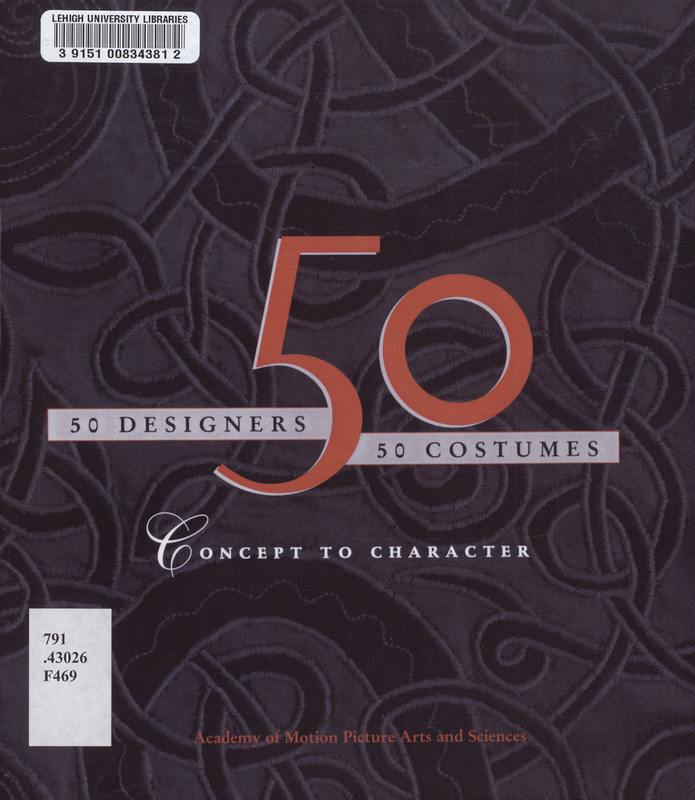 This catalog was published on the occasion of the exhibition “Fifty Designers, Fifty Costumes: Concept to Character” held at the Galleries of the Academy of Motion Picture Arts and Sciences, Beverly Hills, Calif., September 10-December 5, 2004.